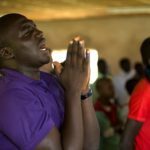 In Nigeria’s Plateau state, Christian leaders said more Christians have died at the hands of Muslim extremists than the 35 that the military reported thus far in May. A World Watch Monitor reporter was among a group of journalists that came under attack from Islamic extremists this month. In three local government areas in Plateau state, armed Fulani herdsmen attacked 15 Christian villages, killing and maiming Christians, destroying homes and leaving more than 1,000 villagers displaced, sources said. The villages – Jwol, Foron, Tahoss, Bangai, Sopp, Werem, Danjol, Rinyam, Rim, Kak, Gwamrim, Gwom, Fang, Lwa and Riyas – are located in the local government areas of Barkin Ladi, Bokkos, and Riyom. Villagers said the attackers were Muslim Fulani herdsmen likely supplied and instigated by Islamic extremist groups. Sources told World Watch Monitor that Muslim gunmen invaded Rinyam village on May 9 at about 12:30 a.m. and shot seven Christians in their homes, though increasingly assailants are using only machetes and knives to avoid notice by soldiers charged with keeping order. In Rim village, Muslim Fulani herdsmen killed one Christian, Bulus Dakumbi, and injured two others, now receiving treatment at Vom Christian Hospital. 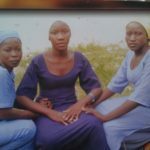 At Gwarim village, Muslim gunmen killed five Christians: Dinnatu Danbwarang, 48; Simi Joseph, 26; Rose Dalyop, 25; Jafates Samuel, 4; and Christiana Samuel, 7. At Wereng village near Kuru Station, three members of a Christian family were killed when Muslim Fulani herdsmen attacked the village: Philip Francis Pam, 37; his wife Simi Francis, 28; and their only daughter, who was a few months old. Christian residents told World Watch Monitor that the Muslim killers entered the family’s bedroom at 10 p.m. as they slept and murdered them. The victims had gunshot wounds on their chests and stomachs as well as machete cuts on their necks, neighbors said. The baby had machete cuts on her ribs, and her fingers were cut off. “Attacks have been happening in this neighborhood, and this is always the mode of operation – gunshots and machete cuts,” said a relative, Francis Pam. Dauda Gyang, a Christian villager in Gwarim village, said his younger brother was killed when armed Muslims attacked his village over a period of two weeks. Sunday Madaki, a displaced Christian from Gwarim, said 13 people were killed and more than 20 injured in six villages. 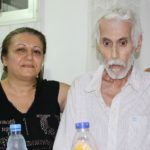 In Riyas in the Bokkos Local Government Area, about 15 armed Muslims attacked the village, killing two Christians, 35-year-old Mangut Dakwan, and 28-year-old Magit Manaseh, before destroying their homes. “Armed men suspected to be Muslim Fulani herdsmen invaded Riyas village at midnight,” Titus Ayuba Alams, a legislator in the Plateau State House of Assembly, told World Watch Monitor. In Fang village, the extremists killed a Christian farmer named Dantyang Bauchi, while Ana Christopher Gyang, a mother of seven, was killed at Lwa village. Three other Christians were killed in an attack at Jwol and Foron villages, where the assailants set fire to houses and shot at Christians as they fled, residents said. He added that another person was also killed in Foron in a separate attack. At Rinyam-Tahoss village, Muslim gunmen killed seven Christians, including two children. Three Christians injured in the attack were receiving treatment at the Vom Christian Hospital, sources said. Capt. Markus Mdahyelya, spokesman for the Special Task Force (STF) charged with keeping order in areas under national emergency, confirmed the attacks, as did Samuel Dabai, a spokesman for area police. Mdahyelya said that as a result of the attacks, the STF commander had shifted troops from other places as reinforcements to the area. Displaced Christians have taken refuge at police stations and primary schools in other parts of the state, while others have fled to Jema’a and Sanga Local Government Areas of Kaduna state. In Rinyam-Tahoss village, for example, no fewer than 200 displaced Christians, mostly women and children, are living in a public primary school with no food or medication. 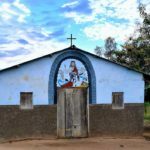 Emmanuel Jugul, a former legislator from the affected areas, told World Watch Monitor that the government is doing nothing to protect the lives and property of Christians. A World Watch Monitor correspondent was among a group of journalists, along with assemblyman Dem, present in Kak when Muslim Fulani herdsmen attacked the village for the second time that week. They shot at the group, but everyone escaped unhurt. The Nigerian president on Sunday (May 27) took pointed criticism for the government’s handling of Muslim extremist violence against Christians. At a special worship service in Abuja for Democracy Day with President Goodluck Jonathan in attendance, the former Anglican primate of the Church of Nigeria criticized the government’s approach to the Muslim extremist Boko Haram sect. The Rt. Rev. 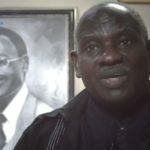 Peter Akinola told those gathered at the interdenominational service at the National Christian Centre that, contrary to assertions that Boko Haram is tantamount to a social revolution against economic injustice, officials should ignore claims that the sect is motivated by anything more than jihadist desire to do away with Christianity. The 68-year-old Akinola advised the Nigerian government against dialogue with Boko Haram. Boko Haram (literally, “Forbidden Book,” translated as “Western education is forbidden”), has targeted state offices, law enforcement sites and some moderate mosques in its effort to destabilize the government and impose a strict version of sharia (Islamic law) on all of Nigeria. Asserting that the government has failed to address 30 Islamist campaigns to rid the country of Christianity, Akinola said Boko Haram will not be easily stopped, as it has financial and logistical support outside and within Nigeria. Speaking later, Jonathan acknowledged that Boko Haram took his administration by surprise but maintained that his government was doing everything possible to keep it in check. He asserted that the country will remain indivisible. The president said he has directed security agencies to launch a complete war against Boko Haram. Nigeria’s population of more than 158.2 million is divided between Christians, who make up 51.3 percent of the population and live mainly in the south, and Muslims, who account for 45 percent and live mainly in the north. The percentages may be less, however, as those practicing indigenous religions may be as high as 10 percent of the total population, according to Operation World.